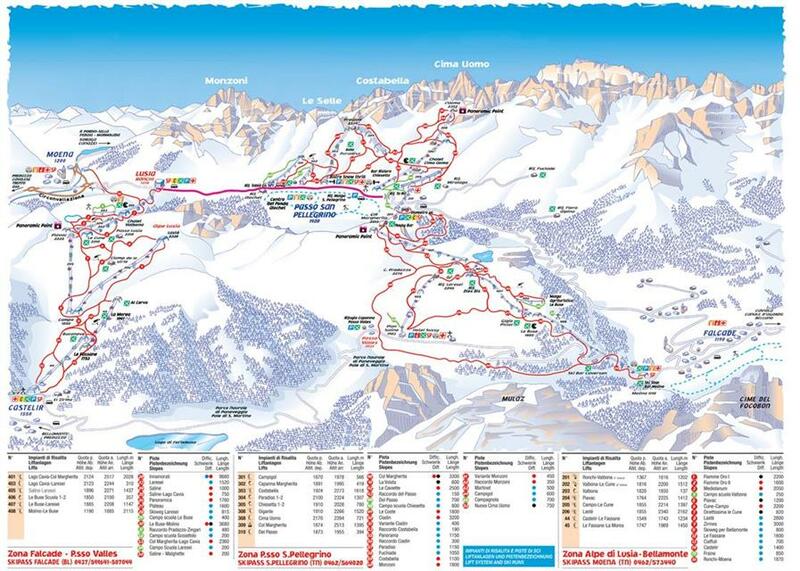 The Tre Valli ski area extends from Moena, lying in Val di Fassa, through the reaching 1,920 m above sea level Passo San Pellegrino, to Falcade, hidden in a valley at less than 1200 m. Among the 100 km of slopes, most easy and intermediate trails, only 11% are marked black. Tre Valli consists of two stations. 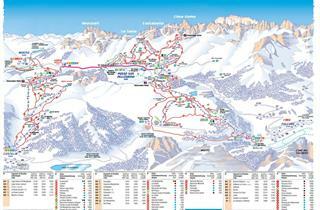 The bigger one has ski runs that run over Passo San Pellegrino and Falcade. You ski here at an altitude of 1200–2400 m above sea level. Trails accessible directly from the San Pellegrino pass are mostly red, not too long, on open, sunny slopes, below the summit of Cima Uomo. On the opposite side of the pass is the Col Margherita peak (2513 m), which is connected with the pass by the most difficult route of the resort - La Volata. Further trails towards Falcade run in a wooded area, but the slopes are quite wide and gentle - ideal for beginners and intermediate skiers. 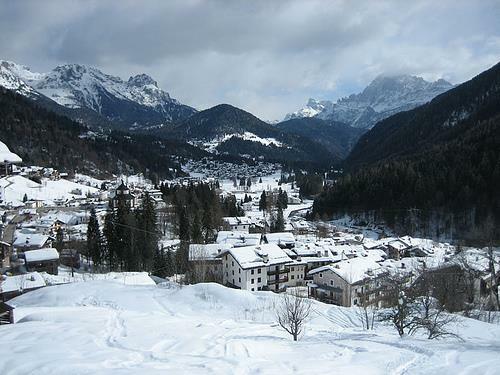 The second ski resort that makes up the Italian three valleys (Tre Valli) is Moena. It is the most westerly town, which is not directly connected to Passo San Pellegrino or Falcade. Together with Bellamonte, it’s a nice area for beginners and intermediate skiers, offering broad, sunlit slopes. 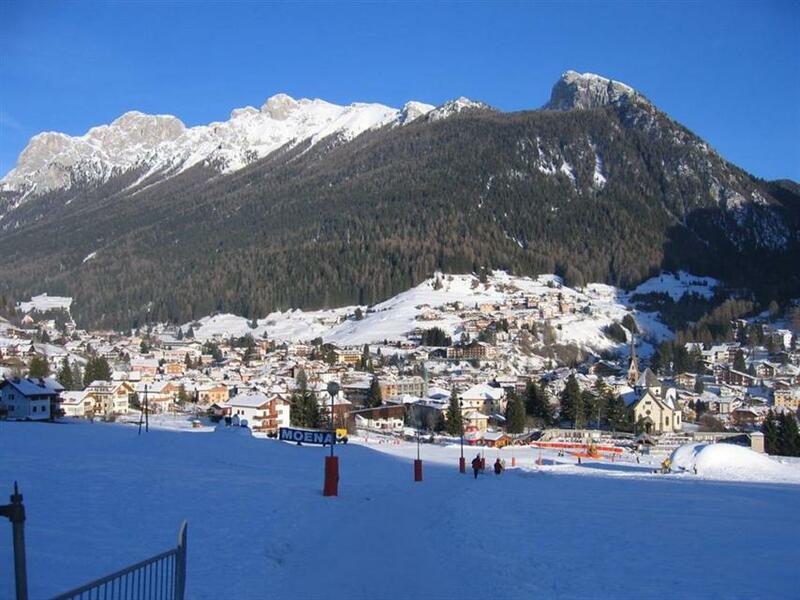 You can also find a black ski slope to the Ronchi gondola and to Lusia-Piavac, regarded as the most difficult trail in the area. 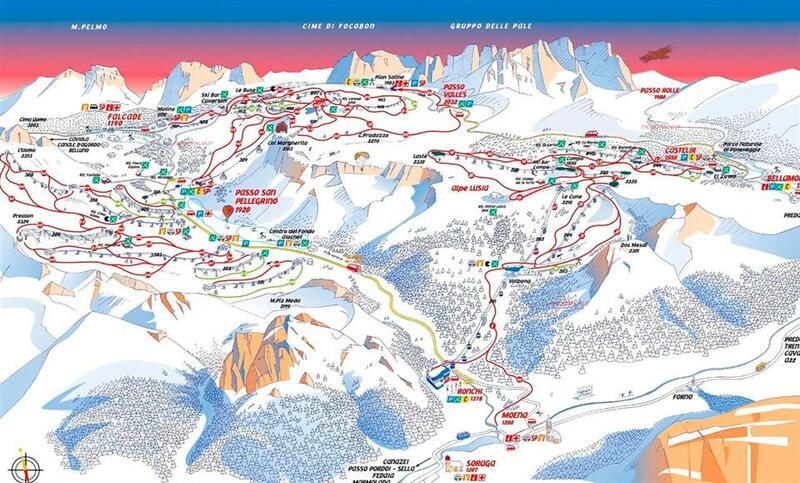 By choosing to ski in Tre Valli, you have to take into consideration that it will be necessary to commute to the lifts. There are no lifts in Moena, they are about 3 km from the town. A similar situation is in Falcade, where the lift is located in Molino, being the district/neighbour of Falcade (about 2–3 km away). In both cases, a convenient bus takes skiers to the lifts - the journey usually does not exceed 5–8 minutes. People who really want to live close to the lifts should book accommodation in Passo San Pellegrino, where there are several hotels and residences with apartments. Very good transportation and pastas.Weather is different,but every people there are friendly.Bad surprise was a frog.I am sure be there again.